Not long ago, Björk found herself fighting candida, a recurring fungal throat infection that forced her to change her diet and medication. Being Björk, she not only found this situation "kinda hilarious" ("it’s like I have this new neighbour"), but treated it as inspirational fodder for her new album, Biophilia. The result was the song "Virus," which uses the relationship between parasite and host as a sardonic metaphor for love. We learn all of this from the text accompanying the song’s iPad/iPhone app, written by the Icelandic musician and followed by an analysis by University of Sheffield musicology professor Dr. Nikki Dibben. The app’s main attraction, though, is the interactive "Virus" game, which allows fans to act as Björk’s immune system, using their device’s touchscreen to push an increasing number of green virus particles away from a host cell, all while the song plays. For each of Biophilia’s 10 songs, there’s an interactive multimedia piece along the lines of the one for "Virus." Other apps in the album’s "cosmogony," each priced at $1.99, invite tactile participation based on aspects of nature, including the cycles of the moon ("Moon") and the growth of crystals ("Crystalline"). It adds up to an experience that demands undivided attention—active listening in the truest sense. That’s by design. "With downloadable music, what we’ve lost is the period when you fall in love with music," says Scott Snibbe, Biophilia’s interactive media designer. "With the apps, we’re getting back to that, because all of a sudden you have a device and a medium that’s captivating all of your senses at once. You can’t just pop it onto your headphones and then go about your day." In a few ways, the Biophilia concept is revolutionary ("No one had done an app box before," Björk told The Atlantic). But it’s also part of a long, accelerating trend among artists who have been trying to expand the notion of an "album," often to fight the cheapening of music due to technology ranging from BitTorrenting to bootlegging. 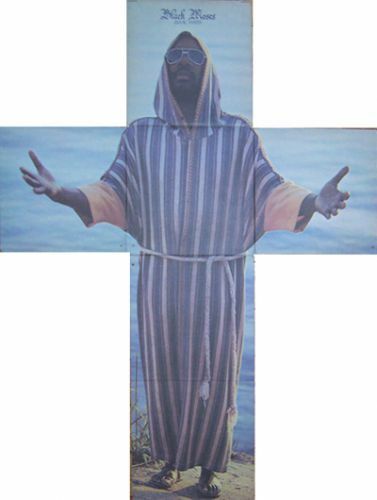 The vinyl era saw Cheech & Chong including a giant rolling paper in their Big Bambú album, and Isaac Hayes’ Black Moses record folded out into a crucifix-shaped image of the soul musician. 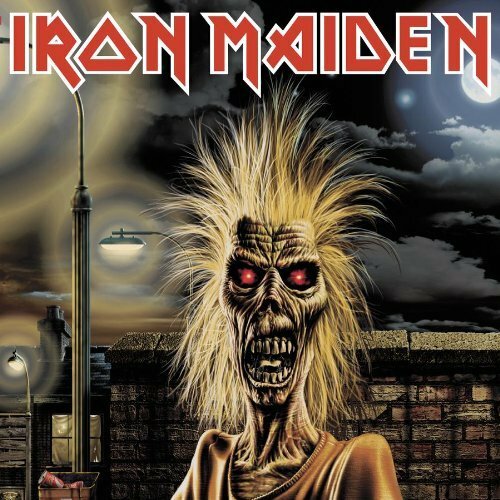 Compact discs provided new opportunities : Who could forget the Enhanced CD, the futuristic technology that allowed people to watch videos by the likes of Iron Maiden and Beastie Boys on their computers ? (Everyone ? OK). 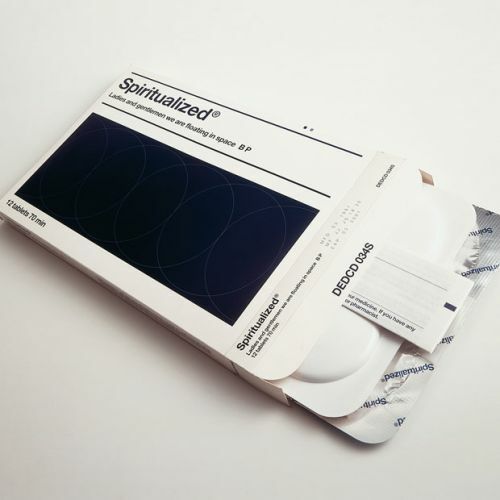 In 1997, Britain’s Spiritualized released a version of their album Ladies And Gentlemen We Are Floating In Space with CDs encased in "blister packs," like pills. 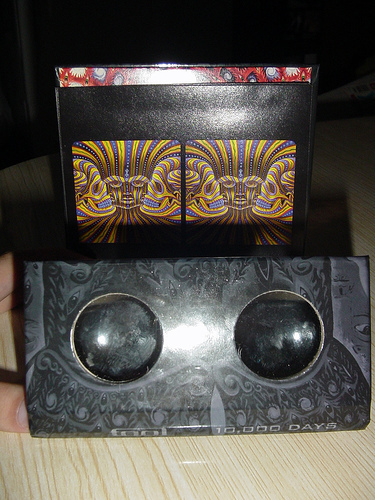 In the current century, the disc version of Tool’s last album, 10,000 Days, came with a pair of 3D glasses to view the artwork in the liner notes. It ended up winning the 2006 Grammy Award for Best Recording Package. Lately, though, the bonus content has become even more extravagant. 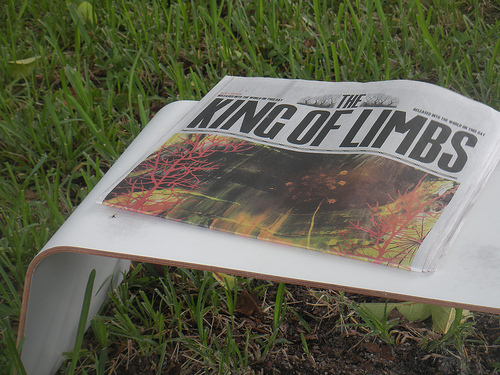 In March, Radiohead distributed a free newspaper, The Universal Sigh, to herald the release of their latest, The King of Limbs (and it was different from the newspaper that came with the "Newspaper version" of that album). Last year, producer Jake One and rapper Freeway released their collaborative The Stimulus Package in a large cardboard wallet with a download card and fake money inside. 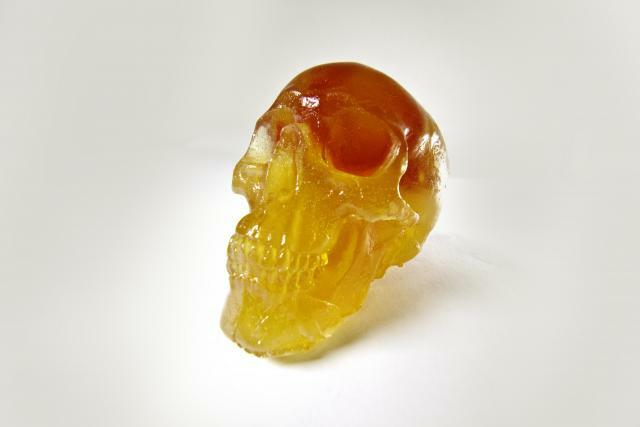 The Flaming Lips’ most recent project was a $150 four-song EP on a USB flash drive encased in a gummy skull that came out in April. 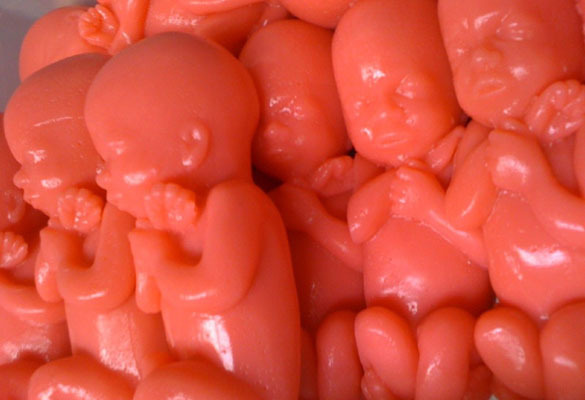 A new version, released in a gummy fetus, was released in July. Do these efforts help sell records ? Judging by the experiences of a few major artists in the past few years, yes. But the key often is exclusivity. Ian Rogers, the chief executive at Topspin Media, a service that enables musicians to market directly to their audience, says special-edition album versions are highly profitable if produced in limited runs—in the 500-2000 units range. 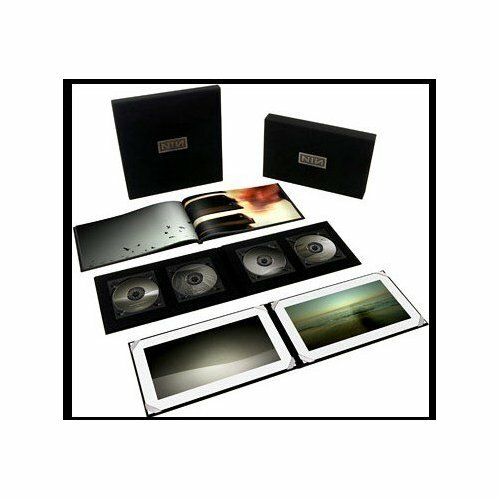 For example, Nine Inch Nails’ Ghosts I-IV, Trent Reznor’s first album as an independent artist, was released through his website in an elaborately array of formats with ascending prices. 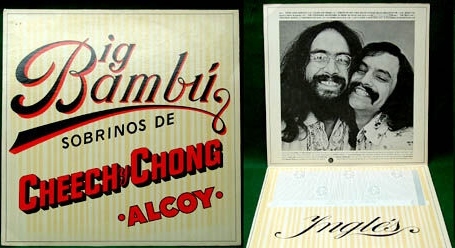 In its cheapest form, the album came as a free download that could be shared legally. Its most expensive form was in a $300 special-edition package that included CDs, vinyl, a Blu-ray Disc, a book, and an autograph. Only 2,500 were made, crashing Reznor’s site during the 30 hours it took for his ravenous fans to buy out the entire run. That’s a gross of $750,000 in just over a day. Tales like Reznor’s have become increasingly common. It happened with the 5,000-run Black Sabbath : Live At Hammersmith Odeon CD, a bundle of the new Evanescence album (which came with an autographed poster) of which only 500 were made, and yes, the Flaming Lips’ gummy fetus. "Hard-core fans are collectors," says Bob Lefsetz, a record label consultant and former entertainment lawyer who runs the widely read Lefsetz Letter blog and email newsletter. "And they want an exclusive item. The average person cannot have contact with their hero." Rogers agrees. "Fans love to have something that is truly collectible as part of your offering," he says. "Lady Gaga was selling a $160 version of her last record on nine beautiful picture-discs at the same time as she was selling her entire record for a dollar on Amazon." Biophilia follows in this tradition, even as it expands it through app offerings. 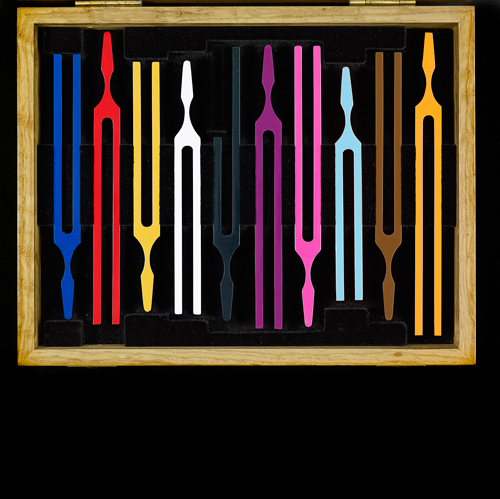 The luxurious Ultimate Edition is an oak case that contains, as per Björk’s label, Nonesuch, "a 48-page, full-color, hardbound, cloth-covered, and thread-sewn book, tipped on lenticular panel to the front cover, with foil-blocked spine and back cover-along with 10 chrome-plated tuning forks, silkscreened on one face in 10 different colors, stamped at the back, and presented in a flocked tray. Each fork is adjusted to the tone of a Biophilia track, covering a complete octave in a non-conventional scale." Oh, and the CD. The CD’s in there too. Only 200 were made, and in spite of its 800₤ ($1,261.21 U.S.) price tag, the entire run sold out almost immediately. French art firm M/M (Paris), which has been designing for Björk since working on her 2001 single "A Hidden Place," designed the package. According to M/M (Paris) co-founder Mathias Augustyniak, the Ultimate Edition represents the album as a material artifact and works almost in opposition to the constellation of computerized apps that have grabbed Biophilia headlines. "The main purpose of that kind of very special package was to create like something to contrast with all that we have produced, that is completely digital, and of course has a digital existence but doesn’t really exist in the real world," he says. "So the idea was, in contrast, really create something that could stand within the time." Augustyniak likens the edition to a souvenir from another planet, a notion that corresponds with the exploratory theme of Biophilia’s songs. "It’s like bringing back a rock from Mars, or bringing back some gas from Jupiter," he says. "And then collecting this within a box. And then we said, because it’s so special, we need also like a booklet or a special publication device, which will kind of tell this whole story. So it’s like creating a tale, and then a fairy tale, and then it becomes a reality." As for Björk’s digital offerings with Biophilia, exclusivity is still a factor : Only fans with the iPod or iPad can access them. 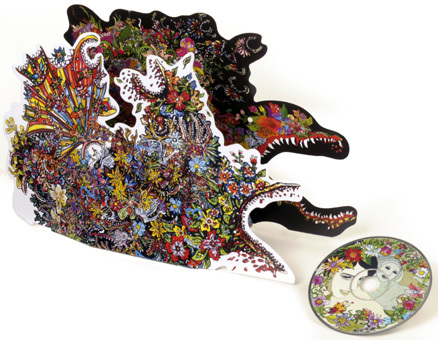 Snibbe explains that no other platforms were able to execute the album at the level of audio, graphics and interactivity that he and Björk thought it should be experienced. "When other platforms are capable of the same quality as Apple’s we’ll certainly consider them," he says. "For now, you need an iPad or iPhone to experience the app. There are 250 million of them out in the world, and that’s an amazing audience size for a brand new medium." The number of people this type of album can reach will only continue to grow. As it does, will other artists duplicate Björk’s app-album model ? "I think it’s very promising for musicians and even for filmmakers and other artists who want to get people to pay attention and engage with their music again," Snibbe says. Björk is less certain. "We will have to see," she says. "But I guess each musician could have a little something visual he sees in his or her songs. And a touchscreen is a great way of sharing that." Indeed, the "app album" concept has detractors who say it’s too complicated, foreign, and irrelevent to make a lasting impact on pop culture. Lefsetz says the Biophilia app box amounts to a technological PR stunt. "It’s complete B.S.," he says. "After the promotion goes by, no one’s going to care. She’s gotten a lot of ink based on this concept. But will it sell music ? Will it help her career burgeon in that way ? No. It’s purely publicity, and in this particular case, pretty expensive publicity." Even so, it appears that Björk has made good on the prediction of her fellow rock artiste David Byrne of the Talking Heads. In a 2006 post on his blog about the decline of the physical album format, Byrne wrote that "...downloads could offer so much more. They could be an opportunity to expand the experience rather than a whittling away of the music/image connection. For less than the price of printing those sleeves and CD booklets you could get slideshows, photos, videos, bios, credits, lyrics, merch…. some of this stuff could play on your MP3 player along with the music, the rest could be on your computer to view or print out." "The role of graphic designers will change," Byrne wrote. "Rather than being called upon to create one or two iconic images that are emblematic of an artist and a new product their job will be to imagine sets of links, connections and relationships…. and to make those visually enticing, fun and rewarding." What will all of this add up to eventually ? Says Snibbe, "I can’t imagine what exactly that might be, but it will be whole lot more than LP sleeves."